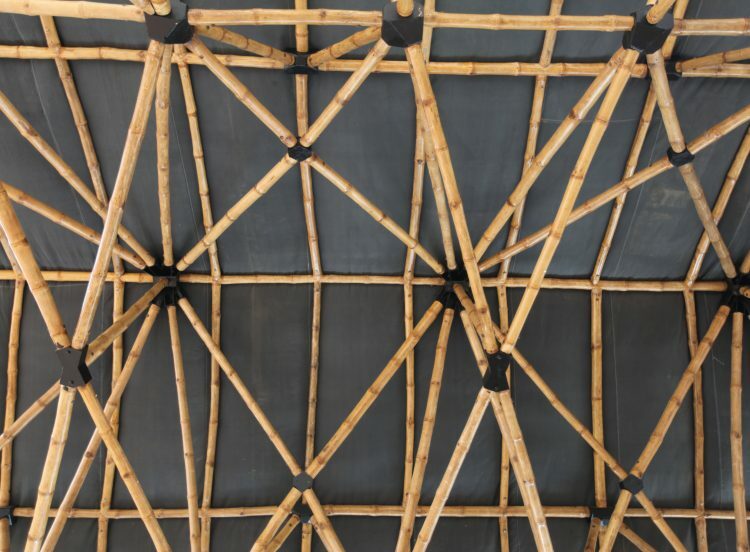 The Shanghai 2010 World Expo demonstrated how bamboo can help create better cities and better lives. When INBAR decided to host a pavilion at the Shanghai 2010 World Expo, it was a departure from its usual role in rural development and environmental conservation. The idea was to promote the environmental, social and economic benefits of bamboo to a vast, new audience – urban consumers, planners and innovators. And it didn’t take long for INBAR to realize that help was all around the Expo. INBAR’s pavilion – constructed primarily from locally sourced bamboo and including a striking centerpiece modeled after the historic Temple of Heaven in Beijing – challenged traditional perceptions of bamboo. A series of dynamic and interactive exhibits demonstrated the progression of bamboo products over the ages, from traditional tools, handicrafts and musical instruments, to modern, luxury consumer goods, including surfboards, bicycles and high-end fashion. INBAR worked with a “consortium” of partner pavilions, all of which used bamboo in various ways and for various reasons. In some cases, such as the German-Chinese House, it was to use bamboo’s organic beauty to lend grace and flair to the design; in others, such as the India Pavilion, it was to deliver a durable, flexible, more cost-effective alternative to steel. In the Madrid Pavilion bamboo was used to replicate the role that it can play in urban social housing. Bamboo was also used extensively throughout the 500 hectare Expo site, for seating, ornamental shrubbery and a 1.6km boardwalk along the Huang Pu river. As part of this “consortium” approach, INBAR published a pocket guide to Experiencing Bamboo and Rattan at Shanghai World Expo 2010, which provided Expo visitors with an engaging and tangible theme on which to base their visit; and produced a short film, 10 Facts About the Wise Man’s Timber, which illustrates some of bamboo’s lesser known applications. Against the Expo backdrop, INBAR also hosted an International Congress on Bamboo and Rattan, from May 20-22. The congress brought together policy makers, experts and enthusiasts from 35 countries to discuss ways to harness the potential of bamboo and rattan to deliver environmental, social and economic outcomes. The programme included a Ministerial session on creating enabling policies, presentations from Expo pavilion architects on sustainable construction using bamboo, and working groups to examine how to apply lessons learned to the developing world. In August, INBAR staged Bamboo Charcoal Week, in collaboration with the Government of Suichang County, in China’s Zhejiang Province. The initiative showcased the environmental and economic benefits of bamboo charcoal, through a range of interactive product displays and demonstrations. Suichang is a global leader in bamboo charcoal production, the local industry comprising more than 50 enterprises and producing over 300 different products that generate more than 2 billion Yuan (approximately 200 million Euros) in annual revenue. Inspired by the Expo’s theme, Better Cities, Better Lives, INBAR staged an International Bamboo and Rattan Product Ideas Competition, with support from the Federation of Hong Kong Industries (FHKI). Launched in May, the contest set a simple challenge – to come up with one product idea, using bamboo or rattan, to help build better cities and better lives. The competition featured four categories – shelter, clothing, food and transport – and attracted over 120 entries from 27 countries. Ideas combined traditional knowledge with 21st century technology as participants found creative ways to innovate. Entries were judged by a stellar jury of industry pioneers, including Hong Kong fashion designer Vivienne Tam, renowned architects Simon Velez (Colombia) and Nelson Chen (Hong Kong), Lonely Planet founder Tony Wheeler, Australian restaurateur Michelle Garnaut, German scientist Walter Liese and Hong Kong designer Kan Tai-keung. Winners included: bamboo-based snack foods from the Philippines, which provide livelihood opportunities for rural communities; a sustainable village concept for the local fishing industry at Can Gio mangrove forest, Vietnam; a toy bike from China, to introduce children to the concepts of sustainability and renewable resources; and eco-sandals from Peru, which use a combination of natural materials found in the Amazon. “There is no doubt that ‘green’ credentials such as sustainability and carbon footprints are playing an increasingly significant role in consumer choices, so such considerations are equally important for producers and designers,” said Martin Tam, Chairman of the Federation of Hong Kong Industries Bamboo Industry Committee. “Bamboo can play a major role in the growth of sustainable product innovation and I’m encouraged by the talent and creativity this competition has unearthed.” The competition awards ceremony took place on October 27 at the Madrid Pavilion’s unique bamboo house, a replica of a major social housing project in the Spanish capital. 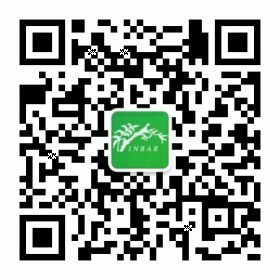 INBAR’s presence at Shanghai 2010 World Expo was supported by the Government of the People’s Republic of China, the European Commission, Anji County, Suichang County, Ascott China, Hang Seng Bank, the Prince Claus Fund for Culture and Development, and Hill and Knowlton. This article also appears in the Newsletter of the Winter 2010 issue of The Bamboo Society (EBS Great Britain). For more information, please contact Tim Cronin (tcronin@inbar.int).